Forward bends hold a plethora of benefits. From slowing the heart rate to stretching the Quadratus Lumborum to inviting inward reflection, this group of poses can really add magic to your practice. 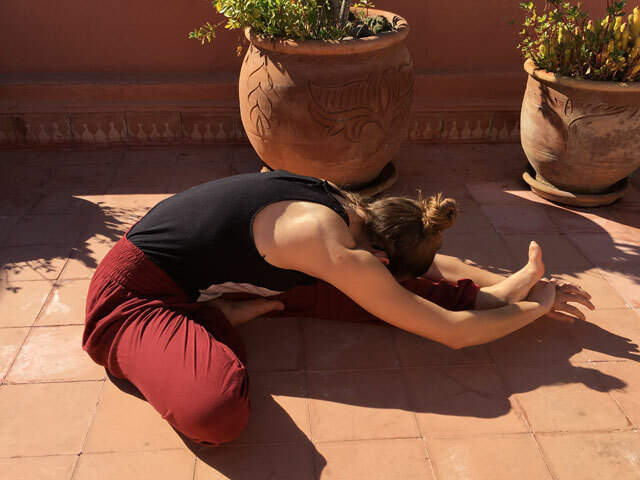 As widely accessible poses, most forward folds can be modified or adjusted so that any level of practitioner can incorporate them into their practice. 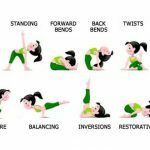 These fundamental postures can be integrated into so many different movement patterns and sequences to create greater mobility as well as stability throughout the back body. Forward folds create flexion throughout the spinal column and stretch nearly all the major muscle groups of the posterior body, including the trapezius, rhomboids, latisimus dorsi, erector spinae, obliques, glutes, hamstrings, adductors, gastrocnemius, soleus and more. Although they come in many varying levels, all forward bends work to stretch and lengthen the aforementioned muscles (to some extent) while simultaneously engaging the abdominals and gently compressing the organs of the abdomen, therefore, increasing circulation to this region of the body. Similarly, as forward bends stretch down the backside of the legs, they also, in turn, strengthen the knees (by activating the muscles surrounding the joint) and the thighs by strongly engaging the quadriceps. 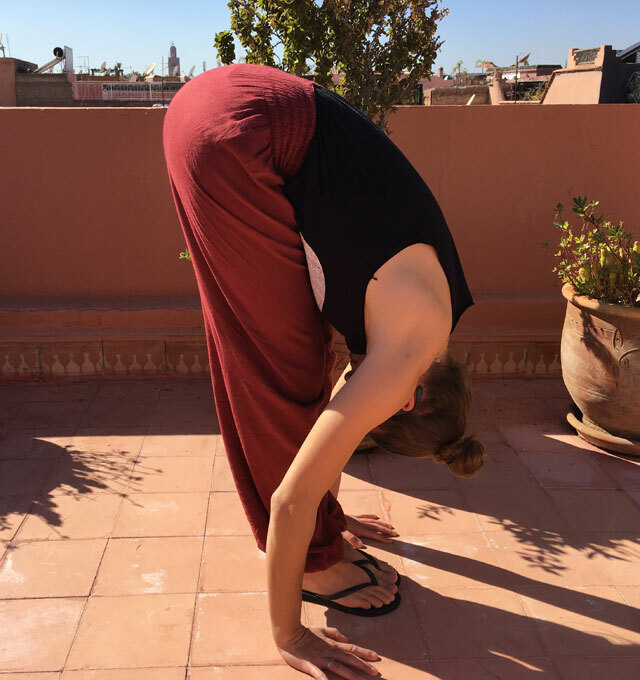 Forward bends can help to alleviate tension in places that often hold chronic tightness (namely the neck, upper and lower back), while also helping to relieve stress and anxiety psychologically. They battle compression within the back body and can even help to battle depression and fatigue. Creating an introspective nature in the physicality of the body, forward bends can also help to clear the mind and soothe the nerves. Forward bends are meant to stretch the back body, not injure it. So when working with forward folds, it is important to keep the lower back safe and sound. This means that when folding forward, you must always move the pelvis in conjunction with the sacrum to protect the sacroiliac joints. The sacroiliac joints (SI joints) are fragile joints of the sacrum that are really not meant for much mobility. With this being the case, it is important to never move the pelvis and sacrum separately. This is particularly crucial in forward bends as we hinge from the hips to fold the torso over the legs. So, depending on your level of flexibility, it may be necessary to keep the bend of a forward fold higher (or to keep the knees bent or elevate the hips) so that the back can remain relatively straight and elongated so that the SI joints and the discs of the spine will not be pulled, compressed or injured. It is crucial that the spine remains lengthened during forward bends to keep space between each vertebra so as not to place unnecessary pressure on the fragile discs between the bones. It is also important to keep the muscles of the quadriceps (the large muscles of the thighs) engaged. Because of the action of agonist and antagonist muscles, when the quadriceps are engaged, the hamstrings are relaxed and vice versa. Similarly, by engaging the muscles of the abdomen, it allows for greater mobility within the lower back. Also, as mentioned earlier, engaging the quadriceps and surrounding muscles helps to maintain stability and safety within the knee joints to keep them protected. Uttanasana (Standing Forward Bend) – one of the most common and widely practiced forward bends, Uttanasana makes an appearance in every Sun Salutation. Accessible to beginners and advanced practitioners alike, this standing forward bend is the ideal pose to practice to release tension and tightness in the lower back and hamstrings. With the help of gravity, this standing forward bend allows you to relax and surrender the weight of your body down toward the floor, elongating the spine and creating a deep stretch through the back body. Prasarita Padottanasana (Wide-Legged Forward Bend) – this standing forward bend is also an inner hip release. Creating a triangular shape in the legs, this position stretches the inner thighs and groins while also providing all of the benefits of a deep forward bend. Again, with the aid of gravity, this standing forward fold allows the weight of the body to release forward, moving you deeper into the stretch of the back and hamstrings. Paschimottanasana (Seated Forward Bend) – likely the most quintessential and picturesque forward bend, this classical asana literally translates to “intense western stretch.” Reaching the hold body “western,” the entire back body is lengthened from the top of the head down to the heels. This posture also forms a deep bend at the hips, creating compression of the lower abdominals to help increase blood flow to the region. Janu Sirsasana (Head-to-Knee Pose) – this asymmetrical forward fold works to create openness in the hamstrings as well as the hips while simultaneously lengthening the side body and lower back. 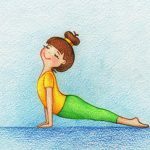 Balasana (Child’s Pose) – although not often the first pose that comes to mind when thinking about forward bending, Balasana is a textbook forward bend when learning how to properly fold forward. This simple posture mimics the compression created in forward bends while being much gentler on the hamstrings and lower back than most other forward folds. This posture is excellent for lengthening and releasing the lower back and hips. Forward bends, when practiced carefully and mindfully, can drastically alter and positively influence your yoga practice. These calming, soothing and deep-stretching postures can help to create space through the entire back body. 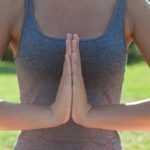 They invite inward reflection as you quite literally fold in toward yourself and they typically move the head below the heart also offering the benefits of a restorative inversion. Forward bends are an extremely important group of postures that help to keep the body supple, mobile and well rounded. Practiced in conjunction with other groups of poses, forward bends can keep your spine young and help to provide longevity for your yoga practice.